Bath Beach Park named for the neighbothood it is in. The park was originally established in 1937 and went through a lmajor makeover in 1984. Bath Beach, Brooklyn NY is located at the southwestern edge of Brooklyn on Gravesend Bay. Bath Beach is a wonderfully busy, vibrant and diverse Brooklyn, NY neighborhood. Italian Americans, Chinese, Hispanics, Middle Eastern, Pakistani and Russians have made Bath Beach their home. 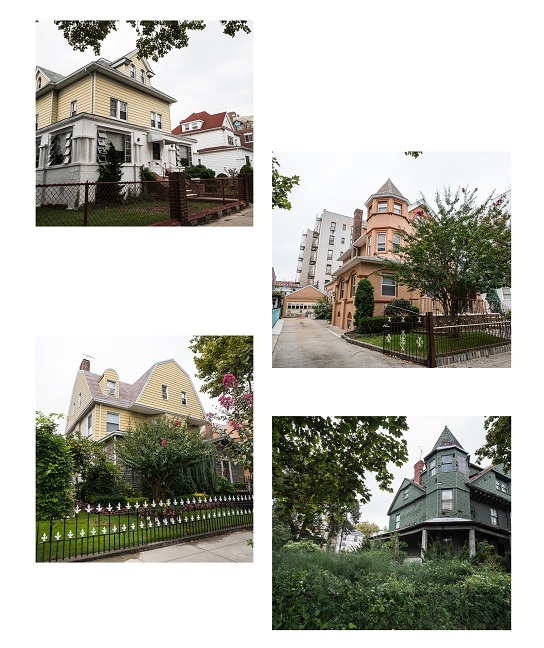 Neighborhood boundaries are Bensonhurst and New Utrecht across 86th Street, Dyker Beach Park and Golf Course across 14th Avenue and Gravesend across Stillwell Avenue. Subway service into Manhattan from Bath Beach consists of D train service with stops at 18th Avenue, 20th Avenue, Bay Parkway, 25th Avenue and Bay 50th Street. There are several terrific parks for recreation in Bath Beach and vicinity which are: Bath Beach Park, Bath Beach Playground, Dreier Offerman Park, Calvert Vaux Park and Scarangella playground. Over the many years since Bath Beach was established in 1880's as a residential community many of the original houses were altered or completely rebuild or redeveloped . However there is number of examples of the old architectural style houses. P.S. 163 Bath Beach located at 109 Bay 14th Street, serving grades K-8. P.S. 748 Brooklyn School for Global Scholars located at 1664 Benson Avenue, serving grades Pk – 5. P.S. 229 Dyker located at 1400 Benson Avenue, serving grades PK-8. P.S. 101 The Verazano located at 2360 Benson Avenue, serving grades K-5. I.S. 281 Joseph B. Cavallaro located at 8787 24th Avenue, serving grades 6-8. Kingsborough Early College School located at 2630 Benson Avenue, serving grades 6-12. P.S. 200 Benson School located at 1940 Benson Avenue, serving grades Pk-5. For a 1 family home with 5 rooms, 2 bedrooms and 1.5 baths, asking is $799,000, for a 1,320 square foot, 6 room, 3 bedroom, 1.5 bath, asking is $888,000, for a 1,296 square foot, 3 bedroom, 2 bath, asking is $950,000, for a 1,795 square foot, 6 room, 3 bedroom, 2 bath, asking is $988,000 and for a 2,300 square foot, 7 room, 4 bedroom, 2 bath, asking is $1.780M. For a 2 family home with 8 rooms, 4 bedrooms and 2.5 baths, asking is $999,000, for a 2,100 square foot, 5 room, 3 bedroom, 2 bath, asking is $1.049M, for a 1,520 square foot, 9 room, 3 bedroom, 2 bath, asking is $1.188M, for a 2,018 square foot, 9 room, 5 bedroom, 3bath, askingis $1.298M, for a 2,514 square foot, 11 room, 5 bedroom, 2.5 bath, asking is $1.499M, for an 8 room, 6 bedroom, 2.5 bath, asking is $1.590M, for a 12 room, 4 bedroom, 1+bath, asking is $1.799M and for a 2,963 square foot, 11 room, 6 bedroom, 3 bath, asking is $2.599M. For a 3 family home with 18 rooms, 9 bedrooms, 5 baths, asking is $1.599M, for a 2,640 square foot, 13 room, 6 bedroom, 3 bath, asking is $1.6M, for a 7 bedroom, 3 bath, asking is $1.798M and for a 2,400 square foot, 12 room, 5 bedroom, 3 bath, asking is $1.850M. For a 4 family house with 3,120 square feet, 19 rooms, 11 bedrooms, 4 baths, asking is $2.095M. For a 6 family house with 5,082 square feet, 24 rooms, 12 bedrooms, 6 baths, asking is $1.690M. For a Mixed Use building with a store and an apartment with 1,800 square feet, 6 rooms, 3 bedrooms, asking is $1.3M, for a store + 4 rooms, 2 bedrooms, 2 baths, asking is $1.5M and for a 4,710 square foot building with a 3,000 square foot store with 2 apartments with 10 rooms, 6 bedrooms and 2 baths on a 40x100 lot including a private driveway, asking is $2.3M. For a Cooperative apartment with 750 square feet, 1 bedroom and 1 bath, asking is $279,000, for an 800 square foot, 5 room, 2 bedroom, 1 bath, asking is $415,000, for a 3 room, 2 bedroom, 1 bath, asking is $465,000 and for a 1,200 square foot, two units combined, 6 room, 3 bedroom, 2 bath, asking is $788,000. For a Condominium apartment with 554 square feet, 2 rooms, 1 bedroom, 1 bath, asking is $468,000, for 1,150 square foot, 1 bedroom, 1.5 bath, asking is $540,000, for a 4 room, 2 bedroom, 2 bath, asking is $679,000, for a 1,414 square foot, 2 bedroom, 3 bath, asking is $699,000, for an 1,100 square foot, 3 bedroom, 1.5 bath, asking is $840,000 and for a commercial condominium for business use, with 1,099 square feet, asking is $1.1M. Tomasso’s Restaurant located at 1464 86th Street, for a fine dining experience, serving Italian cuisine. Alladin located at 2158 Bath Avenue, serving Middle Eastern and Eastern European cuisine. Mezcal’s Mexican Restaurant located at 1474 86th Street, serving Mexican cuisine. East Ocean Buffet located at 1772 86th Street, serving Asian and Chinese cuisine. Puritan Restaurant located at 1454 86th Street, serving American cuisine. Jireh Restaurant located at 8715 18th Avenue, serving Latin American cuisine. Zaiqa Restaurant located at 2931 Bath Avenue, serving Pakistani cuisine. China Garden located at 2014 Bath Avenue, serving Chinese and thai cuisine. Paco’s Tacos located at 1504 86th Street, serving Tex/Mex cuisine. Lazzat Restaurant located at 1969 Bath Avenue, serving Russian and Middle Eastern cuisine. La Cucina Italian Specialties located at 8611 18th Avenue. Vegas Diner located at 1619 86th Street, serving American cuisine.